1951 Nimbus 2510. Picture credits - yesterdays.nl. Submit more pictures. Ask questions Join the 51 Nimbus 2510 discussion group or the general Nimbus discussion group. 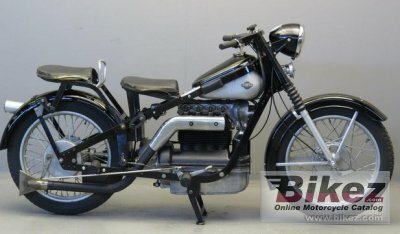 Bikez is now publishing specs for pre 1970 motorcycles. We invite our users to upload pictures of classic motorcycles. You will get your name and bike on Bikez.com. Search for the bikes you have pictures of and use the link to upload pictures. See our contribution page. We also have a discussion group about restoration and valuation of each bike. Vintage and veteran bikes can be sold and bought through our free motorcycle classifieds.